English Premier League. Kick-off: 3pm, Saturday 22nd December. RALPH HASENHUTTL lived up to his ‘Klopp of the Alps' nickname by helping Southampton scale new heights with a shock win over Arsenal last weekend. But the new Saints gaffer knows all the good work from that impressive 3-2 victory will be undone if his players fail to follow it up with another good performance and result at Huddersfield. The Austrian began his Southampton reign with a defeat away to Cardiff and it's games against their relegation rivals that will define their season. 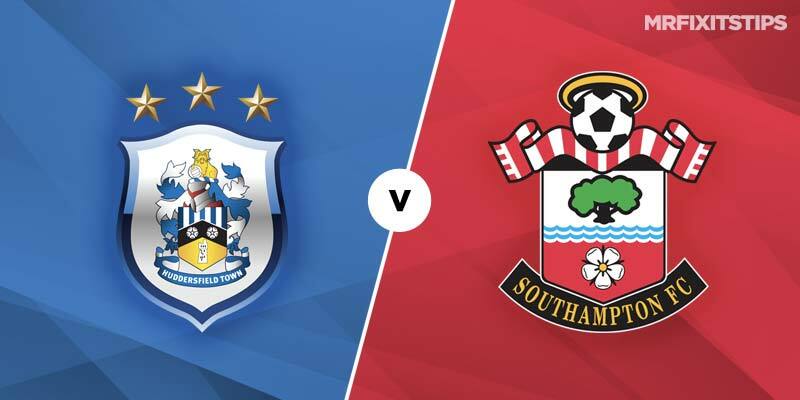 This one is a real six-pointer as a victory would move Saints five points clear of second-bottom Huddersfield heading into the hectic festive fixtures. The Terriers have been lacking bite in recent games and head into this crunch clash on the back of four successive defeats. But the bookies are still finding this a tough one to call, with Huddersfield 21/10 for a win with 888 Sport while the draw is 21/10 and Southampton 31/20. A chronic lack of firepower has been Huddersfield's biggest problem this season, with David Wagner's side only scoring more than one goal in just one match, a 2-0 victory over Wolves. Aussie playmaker Aaron Moy grabbed both goals that day but he's now injured and that makes Huddersfield even less of a threat. If they do beat Saints then it looks like being a tight victory but the odds on a lack of goals are poor, with under 2.5 strikes as skinny as 4/7 with 888 Sport. There's better value to be had in the half-time/full-time market where it could pay to back either side to win after a drawn first half. You can get Huddersfield at 23/4 but I'm more inclined to side with Southampton at 24/5. The odds aren't great but I'd also be tempted to punt on a goal not being scored in each half, which is 7/10 with 888 Sport. Southampton's Danny Ings scored twice against the Gunners so it may pay to back him either for first scorer (22/5, 888 Sport) or anytime scorer (2/1, 888 Sport). Huddersfield's last two goals have come from defenders, Mathias Jorgensen and Terence Kongolo, and a set-piece could be their best chance here. Chris Schindler is available at 25/1 for first scorer and 13/1 for anytime scorer if you fancy another stopper getting in on the scoring act.